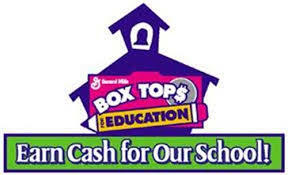 We are still collecting Box Tops. Please collect them and send them into your child’s classroom. You should include your child’s name and homeroom teacher. You can find them on lots of packages. Everything from school supplies to taco shells! 10 cents can add up quickly when we all turn them in! Please remember to check your expiration dates. Thanks in advance for your support! For the 4th nine weeks, we will be combining grades again and competing against one another to win an “ICE CREAM AND BROWNIE PARTY.” The combined grades are: K3 & 12th, K4 & 11th, K5 & 10th, 1st & 9th, 2nd & 8th, 3rd & 7th, 4th & 6th, and both 5th grade classes. The deadline to turn in Box Tops is April 26th. We will announce what day they will have their ice cream and brownie party at a later date. Congrats to Mrs. Liddell’s 2nd grade and Mrs. Corely’s 8th grade classes. They are the winners this 9 weeks! They collected 385 Box Tops. 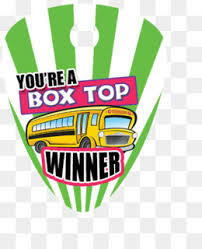 That brings us to a total of 1,650 Box Tops for the 3rd nine weeks. They earned a college t-shirt or jersey and blue jean day. Thank you for your support. Please keep the Box Tops coming! PLEASE REMEMBER TO CHECK YOUR EXPIRATION DATES!